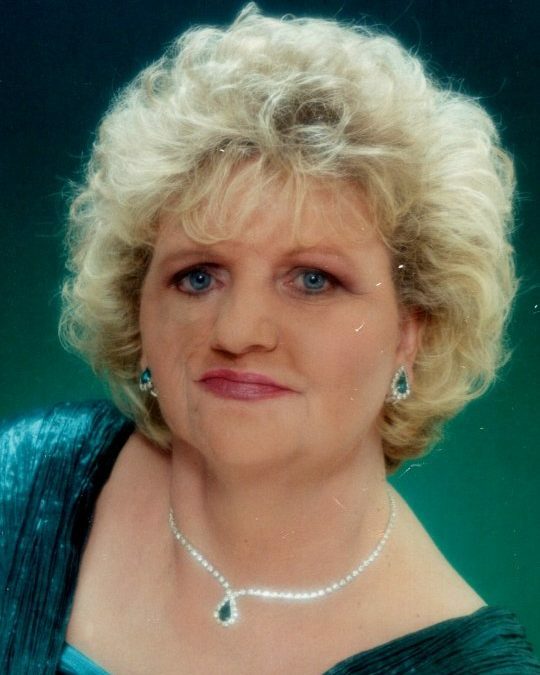 Martha Lee Cannon Smith, age 77, of the Slate Branch Community in Somerset, Kentucky, passed from this life on Thursday, September 20, 2018 at the Jane Todd Crawford Hospital in Greensburg, Kentucky. She was born on September 12, 1941 in Detroit, Michigan, daughter of the late Joseph Fred Cannon and Gladys Lucille Bryant Cannon Liner. Martha was a homemaker and a member of Oak Hill Baptist Church. She was formerly a volunteer for the Ladies Auxiliary at TJ Samson Hospital and a volunteer for the Southern Baptist Clothing Center in Detroit, Michigan for many years. Martha was an avid board game player; she loved movies and enjoyed shopping. She was preceded in death by her parents; her husband, George Edward Smith; and two brothers, Ralph Cannon and Joseph Cannon. She is survived by two sons, Bro. Randy (and Karen) Smith of the Oak Hill Community and Barry Smith of Campbellsville; one daughter, Lisa (and Bill) Rozek of Brighton, Michigan; one sister, Patricia (and David) Gutuskey of Plymouth, Michigan; five grandchildren, Rachel (and Roger) Riquelme, Sarah Smith, Michael Rozek, Sarah Rozek and Jessica Rozek; two great-grandchildren, Wyatt Riquelme and Ezra Riquelme; sister-in-law, Faye Cannon of Detroit, Michigan; a special brother-in-law, Terrell (and Rosie) Smith of Redford Township, Michigan and several nieces and nephews also survive. She will be missed by all who knew and loved her. Our loss is truly Heaven’s gain. Visitation will be at 11:00 a.m. on Wednesday, September 26, 2018 in the Chapel of Southern Oaks Funeral Home with funeral service time at 2:00 p.m. at the funeral home with Dr. Harold Brown and Bro. Walter Graham officiating. Interment will be at 2:00 p.m. Eastern Time at Smith-Bradshaw Family Cemetery, 200 Smith-Bradshaw Cemetery Road, Glasgow, KY 42414. Pallbearers will be Roger Riquelme, Andrew Wiley, Gary Robertson, Eric Smith, Michael Rozek, Barry Smith and Bill Rozek. Honorary Pallbearers will be Wyatt Riquelme, Ezra Riquelme and Terrell Smith. In lieu of flowers the family requests that contributions be made to the Smith-Bradshaw Family Cemetery Fund, C/O Bro. Randy Smith, 2110 W. Hwy. 914, Somerset, KY 42503. Southern Oaks Funeral Home is entrusted with the arrangements for Martha Lee Cannon Smith.